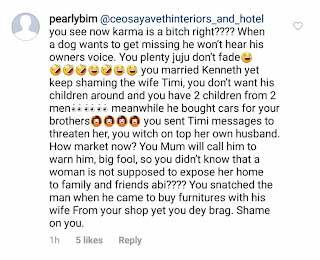 The marriage between Warri billionaire, Ken Bramor, and interior designer, Ehi Ogbebor, has reportedly crashed approximately eight months after their extravagant wedding. 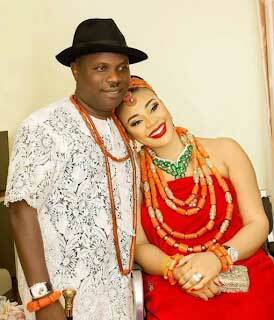 Recall that the couple shut down Benin city on the 19th of November, 2017, with an extravagant wedding where guests were giving cars as souvenirs. Their wedding was the talk of the town alongside that of Banky W and Adesua Etomi which happened at the same period. The beautiful Ehi Ogbebor was a divorcee with two kids from her previous marriage. She welcomed a daughter this year with Ken Bramor, though some social media rumor has it that the baby is not his. Months after the wedding, to everyone’s surprise, news filtered that Ken had run back to the arms of his first wife and mother of his four children who is based in the UK. He also bought her a Rolls Royce. According to reports, the Warri-based oil baron, who was with the mother of four of his children for weeks in the UK, bought the car to appreciate her for being with him since day one.